The hub of our academic engine & our international initiatives. Walking into this light-filled 50,000 square foot building, students and visitors are impressed by all the possibilities they have at Lancaster Bible College. From undergraduate to doctorate programs, from local to international students, the Charles Frey Academic Center impacts them all. With the Charles Frey Academic Center (known as CFAC), we are expanding our heritage and building on our legacy in two ways. First, the namesake of the building Charles Frey continues his philanthropic legacy with his lead gift to make this building a reality. As he grew his company Turkey Hill Dairies, Charles understood the importance of applying biblical principles to everyday life, not just on Sunday. As he honored God in his business, he is able to bless those who seek to grow His Kingdom – our students. Secondly, LBC expands its legacy by taking biblical higher education around the world. The CFAC connects our students locally, nationally and around the globe. For the first time, all students from freshmen to doctoral candidates are united academically in one building. They get to know each other in the lounge areas and share ideas over coffee. Frequently, our graduate students are only on campus once or twice a semester since they take blended online courses. 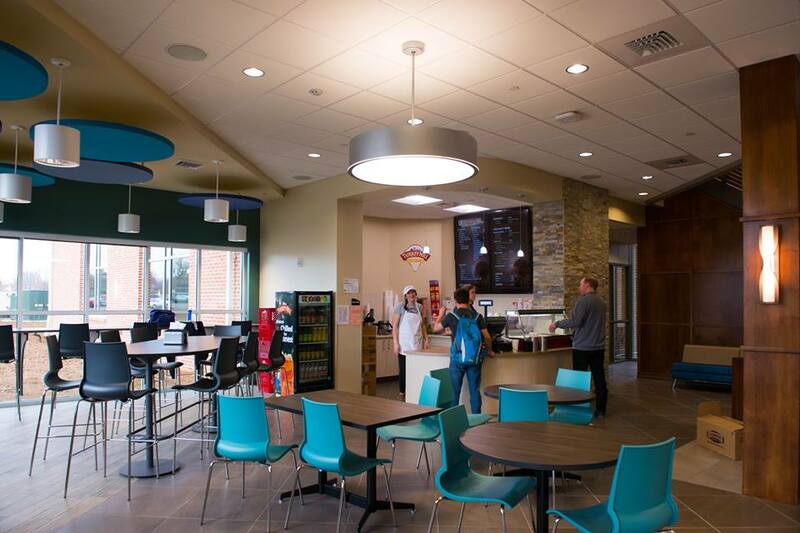 Having the community areas in the CFAC where they can meet students at all levels helps them make local connections. From freshmen taking their first class, to local adults who desire an accelerated undergraduate degree that fits into their busy lifestyle to our students at our location in Uganda, the CFAC provides the framework and the foundation for their academic success. Six of our seven academic departments have offices in the CFAC, and these professors can seamlessly work together on how to thread the Bible through their courses. Enrollment offices for our adult and graduate students are also in the CFAC, meeting needs on a national scale. International education initiatives will launch from the CFAC with online course development as the starting point. To bring to life our mission of LBC students serving Christ in the Church and society, we continue to offer academic majors that prepare our students to work not only in the Church, but also in mainstream professions. Our newest majors Communication and Business Administration have uniquely designed environments in the CFAC that provide real-world experience. A video production studio is highlighted in the Communication wing of the CFAC. Students can record, edit and produce radio and video programs, preparing them to work in a variety of live-production careers. To make these studios even more valuable to our students, our Digital Learning Office will develop courses for our local, national and international online students. Additionally, the Communication students focusing on media writing can use the computer labs to publish articles for print and the web. Our Business Administration major was designed by business executives to give our students real-world experience to prepare them to lead non-profit organizations and for-profit businesses. The pressures of the business world are duplicated by the special classrooms in the Business Administration area of the CFAC. A boardroom provides the stage for presentations and conducting meetings. Because of the design of the CFAC, our students can understand the importance of preparation and practice prior to interviewing for careers. Today, the Charles Frey Academic Center is humming with activity because of the investments of a local businessman as he trusted in God to provide for his family, his employees, and his community. Tomorrow, the CFAC will unite Lancaster Bible College students around the world. Join us as we celebrate our future by investing in the CFAC today. You can honor your family and friends with your gift to the Charles Frey Academic Center. Consider the naming opportunities, give today, or contact the Advancement Office to discuss your giving preferences at 717.560.8211 or advancement@lbc.edu.